Don't even try to look for the definition of cognitive privilege in the dictionaries, it is too new. There is a definition of cognitive elite, though, that brings us close to the subject. The cognitive elite of a society, according to Richard J. Herrnstein and Charles Murray, are those having higher intelligence levels and thus better prospects for success in life. This definition brings you close to the steps needed for definition of cognitive privilege. Once defined, you can start happily operating this excellent tool for naming and shaming a new category of the privileged people. Of course, in this case the advantage of the boy is temporary, to disappear in a few weeks with the other kids learning and catching up. And, of course, as it is customary in schools, applying the famous peer pressure to those who dare to be different. Anyhow, the lesson here is that our schools are built for uniformity, one size fits all is the motto. Not that I understand the items listed under "the purpose", but at least there is no reason for alarm. I think so. The whole "cognitive privilege" idea so far hasn't put roots among the other "privileges", like "white privilege", "cis gender privilege", "male privilege" etc. Hopefully it will remain dormant, at least for a while. Taken together, the case of my grandson and the (so far) abortive attempt on raising the specter of "cognitive privilege" brought me to check the situation in schools with regard of treatment the bright children receive. For ordinary families with academically able children in the inner city or small town Canada, the everyday reality is bored kids seeking outside outlets for their creative or higher intellectual pursuits. "The attitude at the moment is that you either fit in or go," says Clare Lorenz, the chairman of the support society, Children of High Intelligence (CHI). "It isn't how things should be." Results show cause for concern. In particular, primary school appeared to be a hostile environment [for gifted kids]. It definitely doesn't look like the school system, at least the public one, is geared and ready to foster excellence and provide the necessary support to gifted kids, who are our hope and our future. “Whatever it takes” is an attitude that drives not just Kirkkojarvi’s 30 teachers, but most of Finland’s 62,000 educators in 3,500 schools from Lapland to Turku—professionals selected from the top 10 percent of the nation’s graduates to earn a required master’s degree in education. Otherwise it is no surprise that private schools, that promise all kinds of special education treats (and frequently don't deliver), tend to proliferate and take the money off many credulous parents. Some are, of course, quite good, but why shouldn't the respective states invest more in their most precious resource? In the latest example of identity politics taken to its absurd end, three Australian college professors believe that "playful urination practices – from seeing how high you can pee to games such as Peeball (where men compete using their urine to destroy a ball placed in a urinal) – may give boys an advantage over girls when it comes to physics." Mind boggling? Not nowadays, I am afraid. And, meanwhile, we are inexorably moving to the era of The Marching Morons. 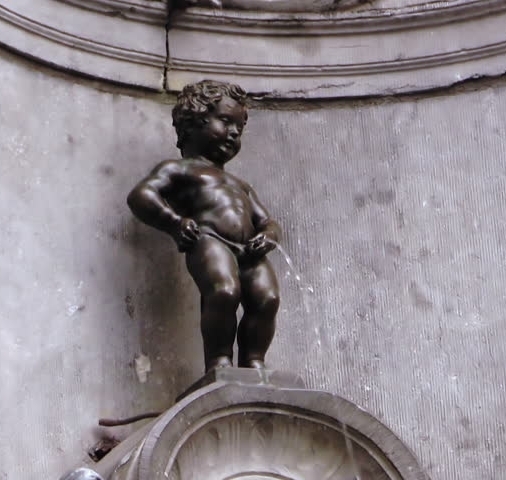 (*) I am still willing to learn that the peeing advantage story is an elaborate spoof, but after reading the original article I am not so sure. A New York professor has sparked a debate among educators over whether or not algebra is too hard and should be dropped from the high school curriculum. Andrew Hacker, a political science professor at Queens College, insists the difficulty of learning algebra is responsible for the United States' high dropout rate. Sure, buddy. Let's all switch to nursery rhymes. Or political science, whatever.